To date, there are few if any published reports on specific dietary interventions to help alter the course of Parkinson’s disease. 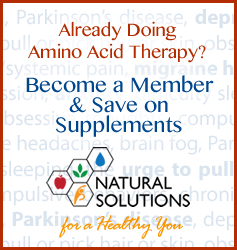 However, since dietary interventions can influence and reduce the effects of oxidative stress, mitochondrial dysfunction and inflammation the following dietary measures should be implemented to the fullest extent possible for those suffering from Parkinson’s disease. Increase your water intake. Your brain is 85% water, so the first thing you have to do is get yourself hydrated. 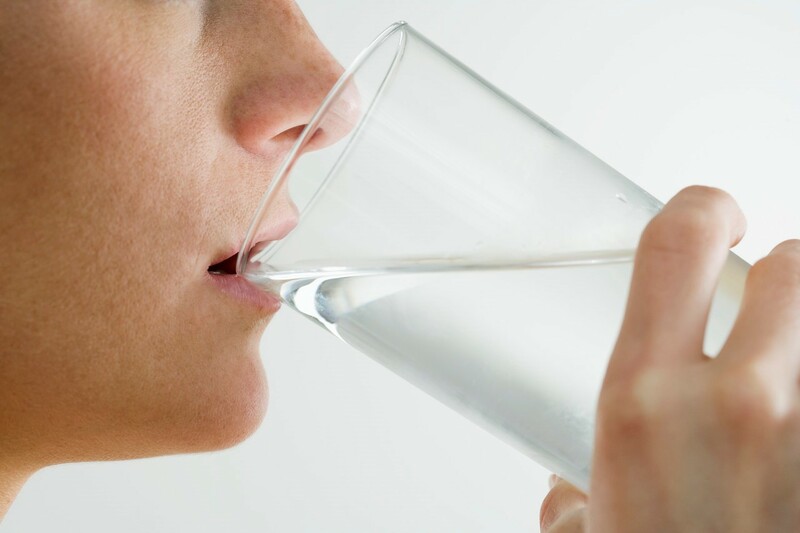 Usually, this means you need to drink ½ your body weight in ounces of water throughout the day. For example, if you weigh 150 lbs., you need to drink 75 ounces of water throughout the day. Try to drink about 4 ounces (1/2 cup) of water every ½ hour. Avoid diuretics. Diuretics are substances that cause you to urinate more; thus, they promote dehydration, which works against your brains’ need for water. Diuretics include alcohol, soda and artificial sweeteners. ALWAYS eat breakfast. If you sleep through the night, your brain needs some nourishment upon waking; break the fast by having a balanced meal within 60-90 minutes of waking, that includes at least 15 grams of protein, some fresh fruit or vegetables and/or some whole grains. 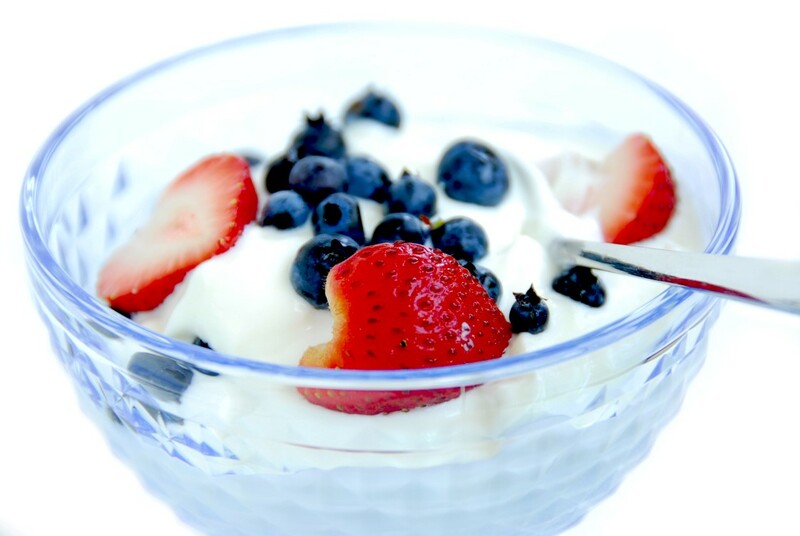 Eat balanced meals throughout the day in order to stabilize blood sugar. 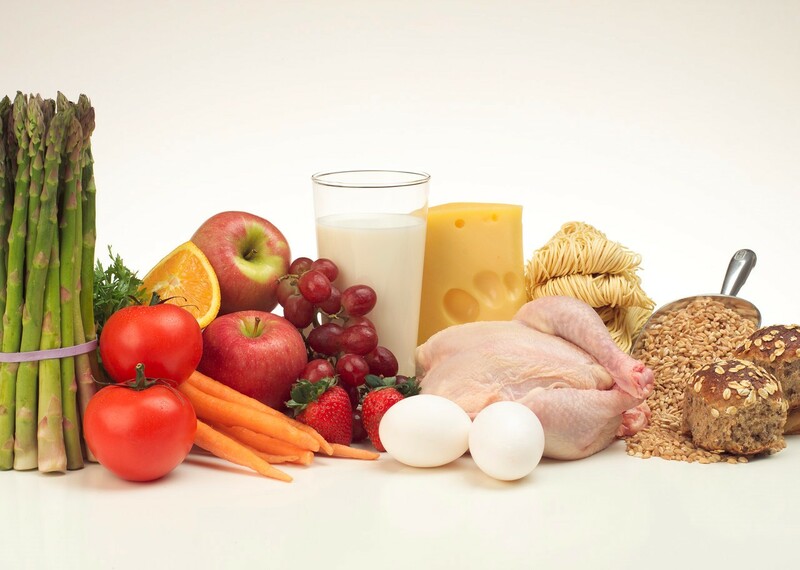 Balanced meals include about 50% non-starchy vegetables (like salad and other green, leafy vegetables, broccoli, cucumber, peppers, onions, peas, sprouts, tomatoes and cauliflower); 25% protein (including fish, chicken, turkey, eggs, wild game, beans, lentils, cottage cheese and yogurt); one serving of starchy vegetable or fruit; and a little fat (including raw nuts and seeds, olive oil, flaxseed oil, avocado, organic butter, coconut milk and coconut butter). Most people do best with four meals spaced out evenly throughout the day (i.e., every 3-4 hours). Avoid the Great Whites – eliminate white flour, sugar and high-fructose corn syrup from your diet. All of these substances are extremely processed and will cause blood sugar spikes that will promote neurotransmitter imbalances. Read labels and find alternatives that don’t contain these ingredients. Choose whole grain products instead, such as brown rice, steel cut oats, barley, quinoa, mille, spelt and rye (sprouted is best). If you need something sweet, choose naturally sweet options such as fresh fruit, apple sauce, agave nectar, raw honey, stevia or xylitol. Get an oil change. Hydrogenated and partially hydrogenated oils contain trans-fats which are very bad for proper brain function. Research has shown that there is no safe level of trans fats, so if you see either of these things on the label, put that bag, box or package down and walk away. Don’t be misled by creative marketing (i.e., ‘0 grams of trans fats’); if hydrogenated or partially hydrogenated oils are listed on the label, the food contains trans-fats and should be avoided. Focus instead on using extra virgin, organic olive and coconut oil and products made with them as alternatives. 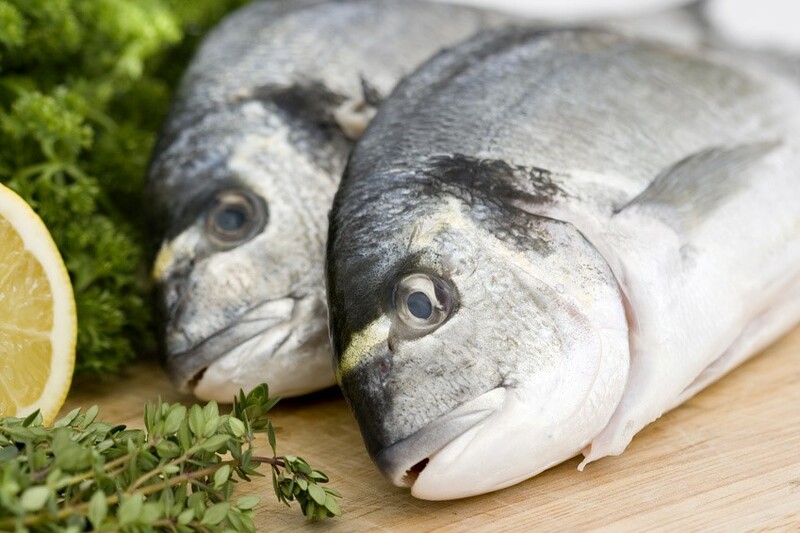 Increase omega-3 fatty acids – eat deep sea fatty fish (i.e., wild-caught salmon, anchovies, herring, mackerel (Atlantic) and sardines) at least 3x/week and take a high quality fish oil supplement daily with meals – aim for between 1500-3000 mg of EPA + DHA per day. Eat whole foods (as close to nature as possible) as often as possible – choose whole foods that contain complex carbohydrates (i.e. higher fiber foods) such as fresh or frozen fruits and vegetables, whole grains, beans, peas, lentils, nuts and seeds. These foods will produce a slow release of glucose into the blood stream and provide nutrients necessary for proper brain function. Eat deep colored berries, especially blueberries. Research has shown that consuming blueberries daily can significantly improve blood sugar control and improve overall health. They are also a great source of antioxidants (and they taste great). Avoid alcohol. Alcohol depletes the body of needed nutrients (including many vitamins, minerals and water) and interferes with the absorption, storage and use of nutrients and sugar. It also causes neurotransmitter imbalance and is a depressant. 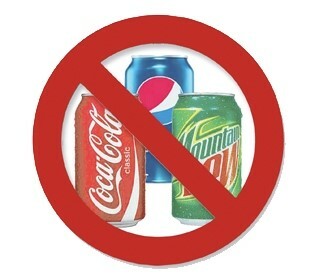 Do not drink soft drinks/soda – also known as liquid candy. Fully loaded or artificially sweetened, sodas have been directly related to weight gain, obesity, insulin resistance, diabetes, kidney stones, heart disease, osteoporosis and depression. In addition, they often replace water in the diet and promote dehydration. Drink tea and coffee. Tea and coffee contain a number of compounds that have been shown to suppress oxidative stress and protect against diabetes, cancer, cognitive decline and Parkinson’s disease. Research also suggests that caffeine itself may be a potent anti-Parkinson’s agent. 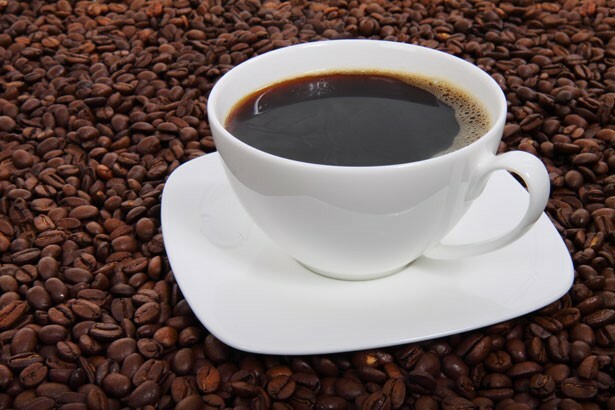 Amongst other things, caffeine can increase dopamine release allowing for a reduced dose of L-dopa to alleviate symptoms of Parkinson’s disease. Current evidence suggests that coffee and tea consumption may provide benefits for those with Parkinson’s disease with very little downside. Avoid artificial sweeteners like aspartame, saccharin, sucralose, etc. – try Stevia or xylitol instead. Avoid or test for commonly allergenic foods (like dairy, gluten, eggs, soy, citrus, peanuts and shellfish). Determining your exact food sensitivities may be a crucial part of your long-term health. Click her to learn more, about food hypersensitivity testing. If you’d like more specific dietary guidelines, the Modified Elimination Diet is an anti-inflammatory diet that can be helpful to improve your nutritional status and reduce the likelihood of neurotransmitter imbalance by reducing inflammation and oxidative stress. It removes the most common food allergens from the diet, as well as very acidic substances, such as soda, alcohol and processed sugars that can increase inflammation and oxidative stress. If you have food hypersensitivity testing performed, you can modify these dietary guidelines accordingly. Alcohol is a depressant and it causes your body to dump neurotransmitters, especially serotonin. Soda is loaded with either sugar or artificial sweeteners and is a diuretic. It causes blood sugar, hydration and neurotransmitter imbalances. Artificial sweeteners have been shown to not only alter neurotransmitter levels, they also cause a condition called insulin resistance, which creates long-term blood sugar imbalances and leads to weight gain. MSG acts as a neurotransmitter and can dramatically alter proper brain functioning. All of the products above can cause depletion in key neurotransmitters in the brain, which can lead or exacerbate depression. Some people are more sensitive than others, but you will not know unless you take these substances out of your diet for at least 3-4 weeks, or until you are symptom free. Just as certain foods can disrupt proper neurotransmitter function and create imbalance, others foods can help provide the body the specific amino acids, vitamins, minerals and other cofactors necessary to maintain optimal amounts of neurotransmitters once they have been rebalanced. Eating these foods and avoiding those that can cause depletion can be a great way to maintain proper neurotransmitter levels. However, most times if a neurotransmitter imbalance is present, eating the proper foods will not be enough to offset the imbalance. Luckily, there are several botanicals and supplements that can be used to rebalance neurotransmitter levels and aid in your healing process.